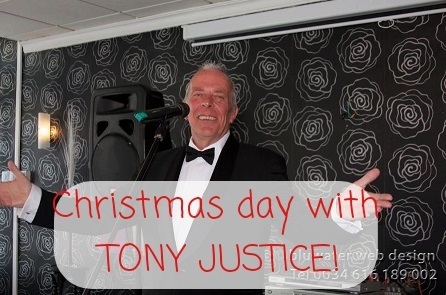 Christmas day lunch with entertainment by Tony Justice! A glass of cava on arrival, a choice of starter, a delicious Christmas carvery with all the trimmings, a choice of homemade dessert and jingles all the way! All for 40 euros pp. Book early to avoid disappointment!